Home > Maine Lobster Tails! > 8 to 10 oz. Large Maine Lobster Tails > (Two Count) 8-10 oz. Maine Lobster Tails! There are TWO lobster tails in this package. We loved every butter dipped bit! It was all wonderful. It is hard to find a company that cares this much for their customer! 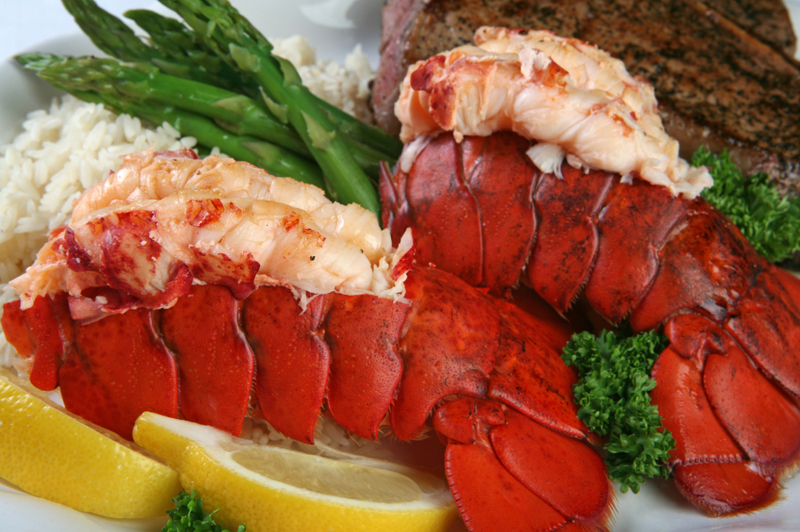 From the time we ordered to the time we ate it was all flawless.We will order again soon, thinking a clambake? We cannot begin to tell you how pleased we were with our order. The chowder, stuffies and lobster tails were all great. I received the lobster tails as a gift. I was so surprised and having never cooked lobster before, I called the Lobsterguy and spoke to a very nice girl. She was so helpful to me that I cannot say enough about them. Capt. Tim himself even called me to make sure I was all set with my preparation and cooking! Now how often does the owner of the company call to make sure you are happy! I was so impressed that they took the time to make sure I was enjoying it all, this does not happen very often in this day and age. Cudos to the Lobsterguy! Top rate service and products. You will not go wrong ordering form the Lobsterman! The only problem with my order was I did not order enough! Loved it Loved it Loved it! Everything is always good when we order from The Lobster Guy! We did these up on the grill and they were so sweet! It put the biggest smile on my mother's face when she opened the box for her birthday! My husband got these as a gift for his 75th. birthday and he did them on the grill. They were to "die" for. Also the clam soup was great!